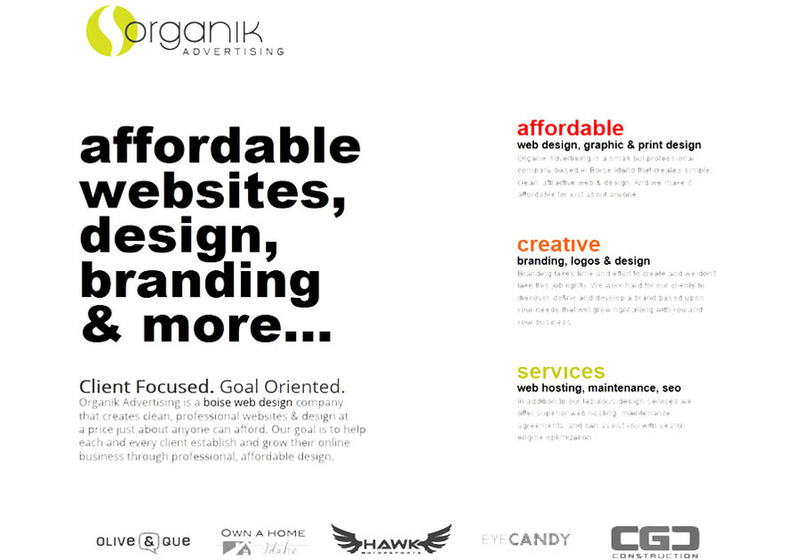 Organik Advertising, LLC. is a Boise web design company that specializes in creating custom content management websites. In addition to designing amazing websites, our creative group assists our customers with everything from company branding to graphic & print design. We offer advertising agency services at prices any business can afford!